It depends on your insurance policy. Because there are so many types of insurance plans, it is difficult for us to tell you whether or not you need prior approval or notification for your hospital stay. We encourage you to check with your insurance company or your employer about this. Insurance policies vary. Contact your insurance company or your employer with your specific questions about what is or is not covered by your insurance plan. Yes. The information on your insurance card is needed for Harlan County Health System to file a claim with your insurance company or companies. When you register, we will ask you for information about your insurance coverage and have you sign a few forms. This registration process goes much faster when you bring your insurance information with you. Yes. Harlan County Health System's charges are based on the services you receive while you are a patient, and the information you supplied to us when you registered. If you told us that you had more than one insurance policy, we will bill those companies before we bill you. You will receive a bill after your insurance company has been billed and there is a patient balance due. The bill will indicate the exact amount you must pay. For your convenience, payment of your patient balance can be made by personal check or credit card. You may receive more than one bill for the same hospital stay. These bills are usually for services provided by physicians, anesthesiologists or other professional medical groups. Although Harlan County Health System bills for some of these same services, you may receive a separate bill directly from these physicians. After your insurance company has paid their portion of your hospital bill, we will send you your first bill. This bill indicates the amount that has been paid and any balance you are required to pay. This is your bill. You have 30 days to pay any balance indicated on the statement of account. If you cannot pay the balance within 30 days, please call our Chief Financial Officer at 308-928-2151 to make payment arrangements. You are legally responsible for your bill at the time you receive services from Harlan County Health System. We require all patient balances be paid within 30 days after you are notified that you have a patient balance. We will wait to bill you until your insurance company has paid us or denied payment on your account, or until 60 days after the hospital's first itemized bill was sent to your insurance company. What if I can't pay my account? 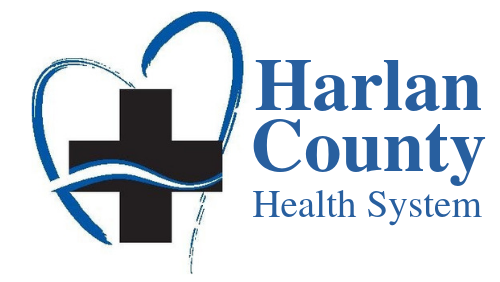 All patient balances (the amount that your insurance company does not cover) must be paid within 30 days after you receive notification from Harlan County Health System. If you cannot pay within that time period, contact Harlan County Health System's Chief Financial Officer to make payment arrangements.